Auza.Net, Kumon K of C and St. Gerald’s Maternity and Wellness Clinic held a joint team building session on December 11-12, 2015 followed by a Christmas party. Jerome Auza, proprietor of Auza.Net and Dr. Elva Auza, proprietor of Kumon K of C and St. Gerald’s, said in their messages during the team building session that the couple plans to make the sessions at least quarterly in the next year. The participants are a mix of software engineers, educators and medical professionals, as well as the support staff. The diversity of backgrounds of the participants made the team building session interesting. The discussions during the workshops resulted to action items that will be implemented for each organization in 2016. The two day team building session was followed by a Holy Mass and then the Christmas party which was held at the QM Inn in Panglao, Bohol. Dr. Auza said she would like to thank the sponsors of the various prizes and food items: JVZEA, Atty. 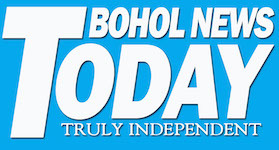 Neil Ochoco, Seville Pharmaceuticals Inc, MaxGXL, Nutripharm, Best Diagnostic Corporation, Bohol Balita Daily News and Bohol News Today. The Auza.Net, Kumon K of C and St. Gerald’s staff during their joint team building session on December 11-12, 2015 at the Kumon K of C.
Auza.Net, Kumon K of C and St. Gerald’s Maternity and Wellness Clinic would like to thank our sponsors for the our 2015 Christmas Party held at the QM Inn, Panglao, Bohol.